Bemidji State University’s online bachelor’s degree program in criminal justice has been named one of the most affordable online programs in the nation by Nonprofit Colleges Online. Through our Bachelor’s of Science in Criminal Justice, you can complete the last two years of your four-year degree in criminal justice entirely online. We offer a generalist degree program that will prepare you for a wide range of careers in law enforcement, corrections or other public and private agencies concerned with the prevention and investigation of crime. 48 credits – view catalog for requirements. 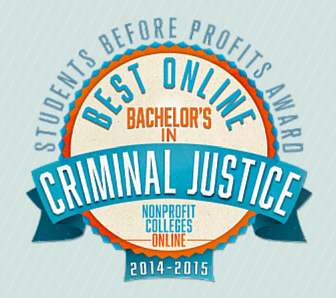 The Criminal Justice major is available completely online and also on-campus.